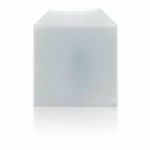 Notes: PVC Digipak sleeve with flap - pack of 25. Approximately 150mm x 146mm. Each sleeve holds a Digipak with a spine of approximately 8mm. 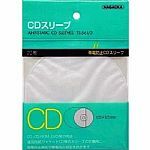 Notes: These inner sleeves for CDs are perfect for storing them in LP-styled CD version covers. The clear plastic sleeves are similar to the ones you get in Japanese paper sleeve packages. 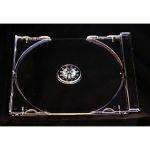 They're great for using if you lose your sleeves from any of those, or if you've bought LP-styled CD packages from other outlets and want something to protect the CD inside. Antistatic, and very well constructed. Notes: Standard clear plastic cassette library case with pins included. 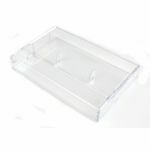 Notes: Standard clear plastic cassette library case.